I haven't blogged much lately. I've been concentrating on Stage Fright, my Vegas story. But after months of hard work it's finally finished and boy does that feel good. I figured after all that wordsmithing I deserve a bit of a break. I planned on taking some time to relax. Maybe spend a couple of lazy weekends lounging on my deck sipping iced coffee, catching up on my reading and snoozing in the sun. Or maybe do a bit of gardening if I feel guilty for lying around. My backyard needs some work and those flowers don't grow by themselves. Well…actually they do so back to the lounging plan. In preparation for all this lying about I hauled out my deck furniture and cleaned the winter crud off my deck. I even bought a new cushion for my lounger. It seems I jumped the gun. 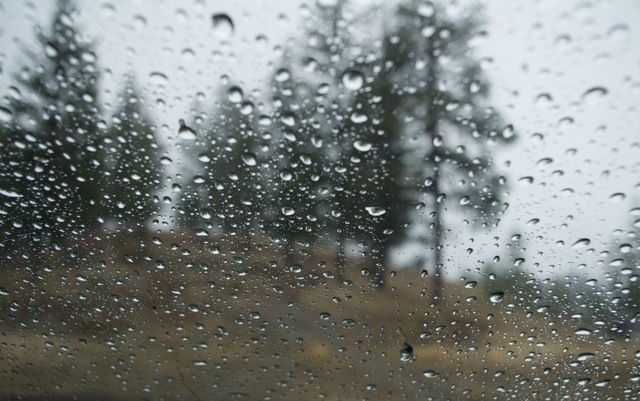 It's already a third of the way through June and in the Okanagan Valley we still haven't seen the sun. In fact, it's rained for six days straight and the forecast is for more of the same. Instead of sitting on my deck, worrying about sunburn, I'm huddled on the couch under a blanket with the heat turned up. I'm drinking hot chocolate instead of iced coffee and watching raindrops chase each other down the window pane. But it's not all bad. Rainy days means no gardening so I'm working on diminishing my TBR pile and enjoying every minute. I hope you get time to do the same. So whether you're lying on a beach towel or cuddled up under a couch throw, happy summer reading everyone.